It’s our democratic right to make rules that hold companies to account. Help us build a Europe that puts people and the planet first, not cutting regulations. Over the last decade European politicians have started to undermine the protections that many people depend on. The interests of corporations have been prioritised over the needs of citizens and the environment. Rules designed to protect us and the places and habitats we hold dear have been painted as “burdens” on business, and attempts are being made to destroy them. This hasn’t happened by mistake. What is Europe for? Around the continent, people are beginning to ask themselves that question. When the European project began what was central to it was treating all Europeans equally and preserving their basic freedoms. But when we allowed the interests of businesses to come above the interests of citizens we moved away from the values that brought Europe together in the first place. Regulation ensures that our basic freedoms such as clean air, a safe environment, and decent working conditions are protected. The pendulum of deregulation has swung too far. We need to go back to a Europe that put the rights of people first: where principled regulations are made, valued, and enforced. We need to re-protect people and the planet. Over the last decade Europe has embarked on a dangerous programme of deregulation. They’ve called it ‘Better Regulation’. But there’s nothing ‘better’ about it. ‘Better Regulation’ started in the European Commission in the early 2000s with the modest goal to find genuinely unnecessary regulations. But over the years its scope and ambition has evolved, as has the story that it sets out to tell. ‘Better Regulation’ is now about reducing the overall costs of regulatory “burdens” to business – and framing regulation as a “load” that needs to be lifted. It has become a narrow, outdated ideological crusade. Following in the footsteps of the UK, critical regulation to protect people and the planet has been subjected to a process of intensive scrutiny, through a series of dry-sounding but hugely important internal ‘Better Regulation’ mechanisms unveiled in May 2015. The ‘Better Regulation’ process tried and failed to water down vital directives that protect nature and clean air. Only a vast public outcry protected them. And time and again, even on its own terms, business lobbyists haven’t been able to make a good enough case for deregulation. But they are still trying. And more problematically, the whole culture of what it means to make and enforce regulations has been changed. It’s harder than it ever was to even get vital new rules that protect us considered, never mind passed. The UK has been at the forefront of driving this agenda. But sadly for the rest of Europe, Brexit doesn’t mean that deregulation is dead. The UK may try to pressure the EU to lower its standards to secure a future trade deal. Most importantly, a significant number of policy processes have been created in Brussels to lock in the deregulation agenda for years to come. Ultimately there isn’t enough pressure on the European Commission to deliver on a better, more responsible and forward-looking agenda. For too long, politicians have turned a blind eye as big business has redrawn the rule book behind the scenes. Now, as Europe stands at a crossroads with hugely important 2019 elections approaching, it’s time to change this. 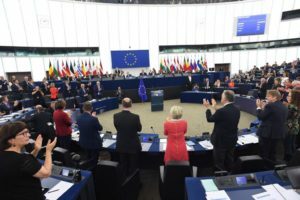 In 2019, Europe will elect a new set of MEPs. We need them to promise that they will resist deregulation and instead deliver on a new vision for Europe: re-protecting people and the planet, not putting business interests first. 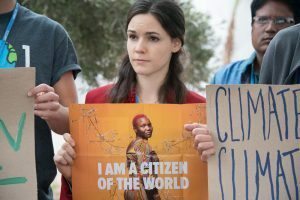 The European Environmental Bureau and the New Economics Foundation are partnering on a new project to build a united civil society and public response to set out a new and positive vision for regulation. We want to persuade incoming MEPs to insist that the future path of Europe sees the scrapping of its discredited deregulation drive. We need to redefine what genuinely better regulation would look like: principled; taken in the interests of people, the planet, the voiceless, responsible business, and future generations. It is society’s democratic right to make, and see enforced, rules on how our economies work.